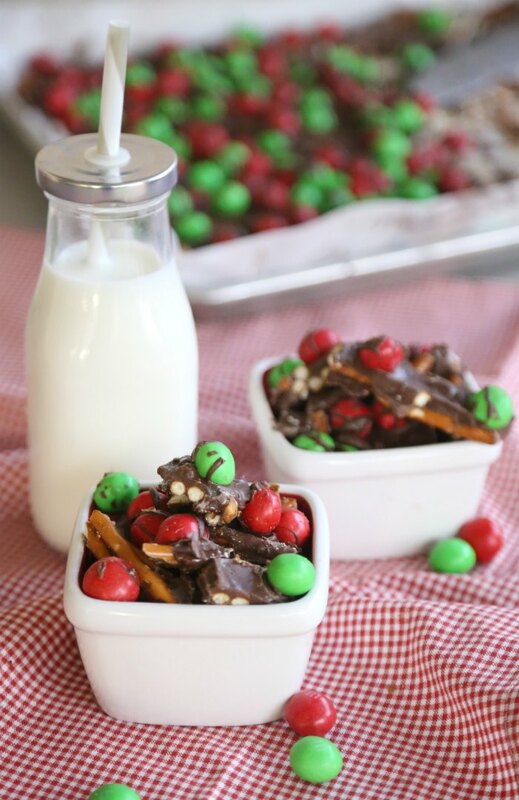 I’m so excited to share this delicious holiday salted caramel pretzel bark recipe with you today as part of a shop has been compensated by Collective Bias, Inc. and its advertiser, Mars Wrigley Confectionery US, LLC. All opinions are mine alone. 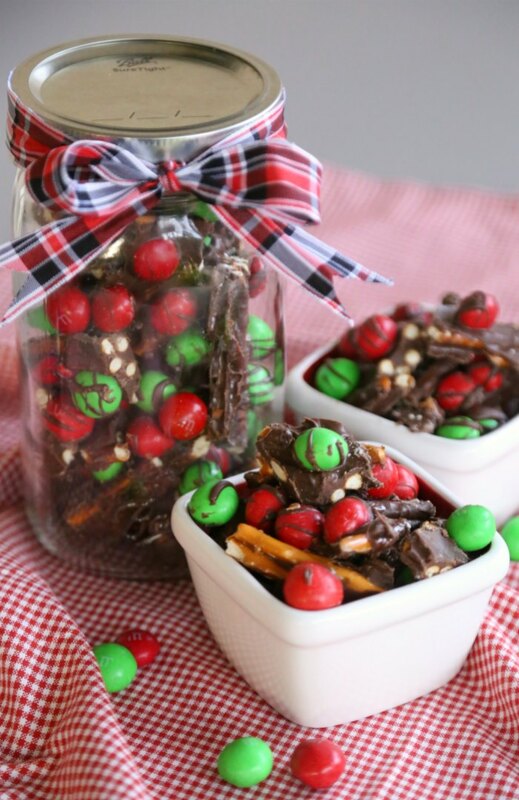 #SweetnessToShare #CollectiveBias ‘Tis the season for making and gifting sweet treats! We love holiday baking, but there are some super easy, no-bake recipes that are good choices too – like a tasty pretzel bark! There are so many ways to make this, but you can’t go wrong with a delicious salted caramel version! YUM! Not only is this no-bake, but you need very few ingredients to whip this up. You can actually hover right over the photo below to click through and purchase what you need! 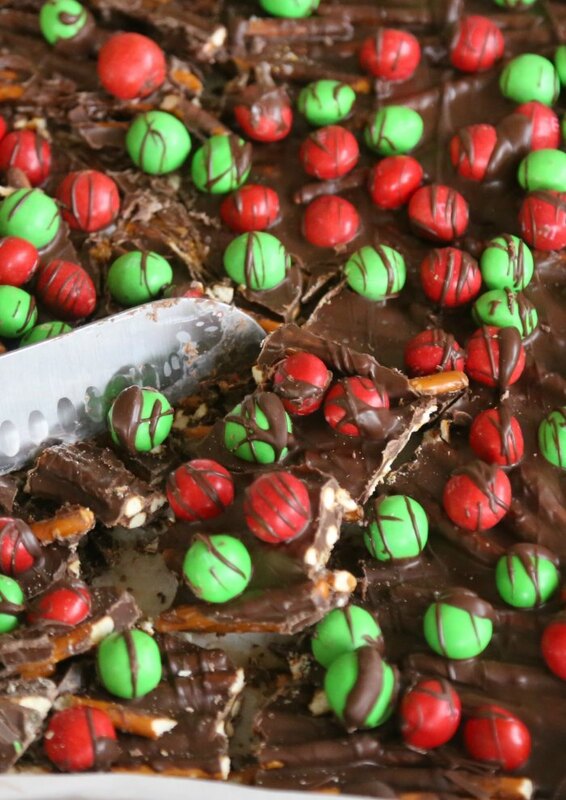 Enjoy an easy-to-make, no-bake holiday treat with this salted caramel pretzel bark. Line large cookie sheet or jelly roll pan with parchment paper. Spread pretzel sticks out on paper, trying to make a single layer. Drizzle melted caramel over pretzel sticks, reserving a small amount. 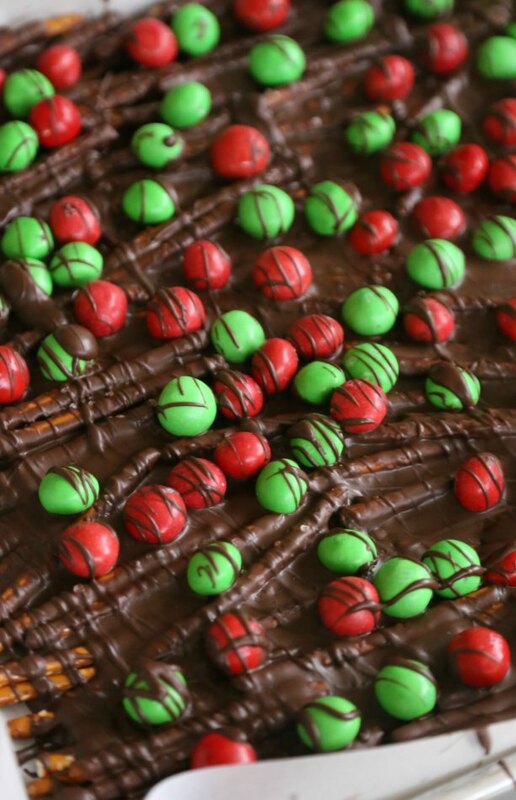 Spread melted chocolate over pretzels and caramel. 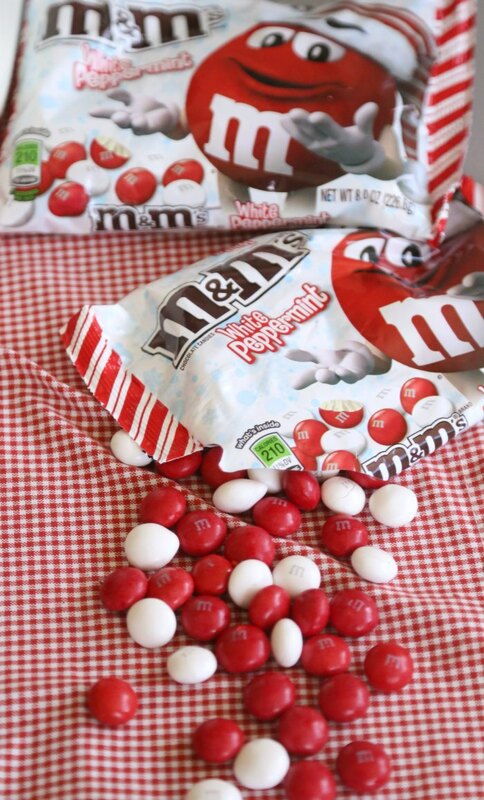 Top sea salt and M&M'S®. Refrigerate to set, then cut to break into small pieces. *Store in air tight containers...or place in jars to give as gifts! Doesn’t that look SO good?! It’s so easy and tasty – my kind of holiday treat! You can serve it up with a glass of milk as a special treat (or to leave out for Santa. Maybe it would be a nice change from cookies 😉 ). And speaking of milk, we encourage you to learn more about The Great American Milk Drive and and how you can give back to kids in need this holiday, by visiting milklife.com/give! The other thing I love about this recipe is that it is GREAT for gifts! 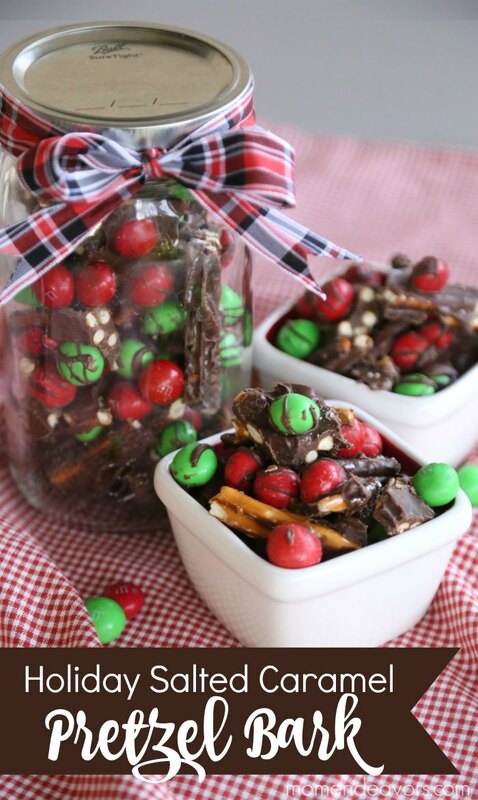 Grab your favorite Ball® Jars and fill it with pretzel bark pieces. 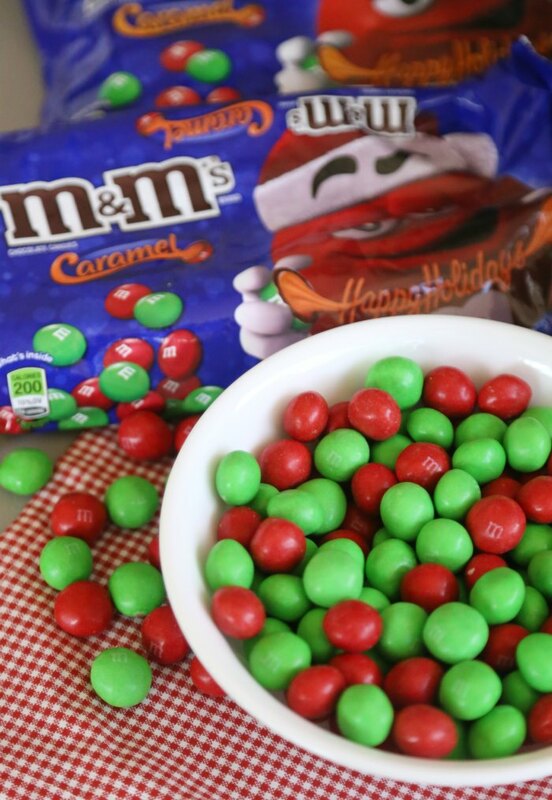 You can add some additional M&M’S® holiday candies to help fill in the empty spaces. It’s the perfect sweetness to share! 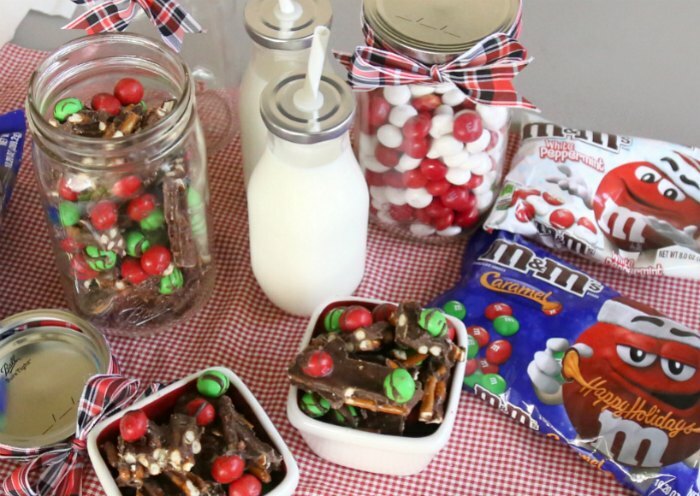 So with this one recipe, you can check off a number of sweet gifts – the gift of family time (baking and eating), the gift of a sweet treat (baking/making and giving), and the gift of a donation (buying M&M’S® and additionally donating on milkelife.com/give). Read on to learn more about the gift of donation! In addition to The Great American Milk Drive, for every purchase of M&M’S® Brand Chocolate Candies (9.4 oz or larger) at Walmart between 11/01/2017 and 12/25/2017, Mars Chocolate Inc.® will donate $5.00 to Feeding America® on behalf of its national network of food banks to secure and deliver one (1) half gallon of milk or more based on local markets. Maximum donation of $75,000. 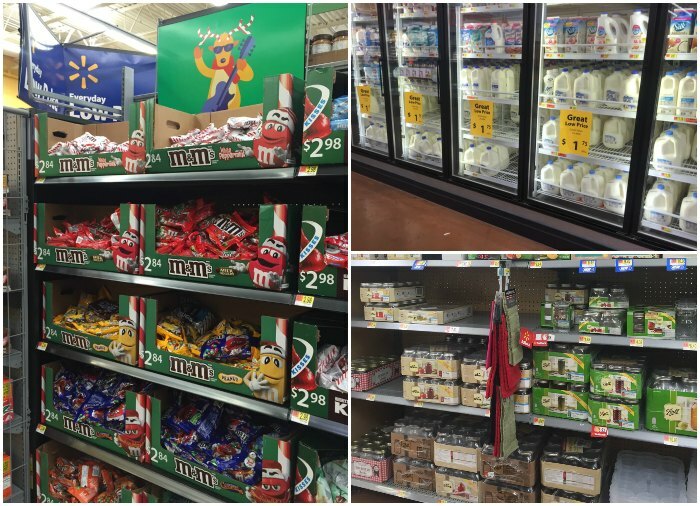 So, head over to Walmart to pick up the recipe ingredients, some additional M&M’S®, Ball® Jars, and Great Value® Milk. With that, you can share some sweetness with others this holiday season!